When chef James Mark told his parents he wanted to be a chef, his father bought him a copy of Anthony Bourdain's Kitchen Confidential to try to dissuade him (spoiler alert: it backfired). But it also taught his son a serious lesson. When chef James Mark of Providence's North told his parents he wanted to be a chef, his father was dismayed: having grown up in the restaurant industry, he wanted a different life for his son. 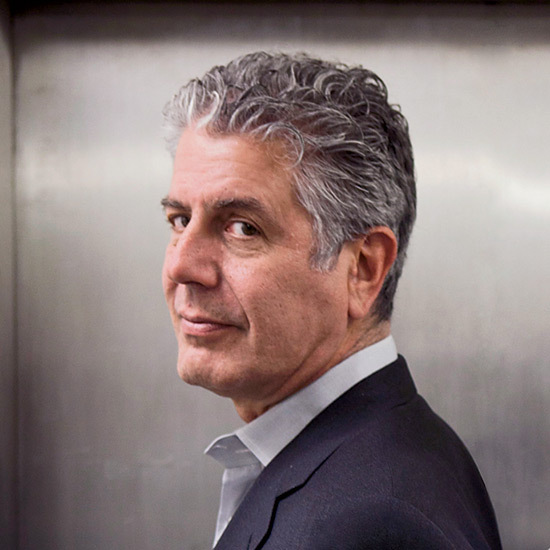 He bought him a copy of Anthony Bourdain's Kitchen Confidential to try to dissuade him (spoiler alert: it backfired). But it also taught his son a serious lesson. "I’m half Chinese and half Polish and Irish. My family owned four restaurants in Chinatown in New York when I was growing up, and we’d go there on the weekends to get dim sum. But I didn't really get it; I was very picky about how I ate. I was ten years old. I wanted hamburgers! They would sit me down and give me a fork and plate of sticky rice, which they knew I liked. When I turned twelve, I expressed interest in going into the food business. My dad hated restaurants because he was forced to work in one as a kid, and he wanted me to be a doctor or a lawyer. To scare me away from that lifestyle, he gave me a copy of Kitchen Confidential, and I read it and absolutely fell in love with it - the opposite of what my dad wanted. I remember reading the story of Anthony Bourdain being a kid in France, and how his mom and dad made him wait in the car because they didn’t want to take him into a fancy restaurant. I saw a parallel in my own life: I realized that people around me were writing me off, giving me a fork and a plate of sticky rice and ignoring me for the rest of the day while they ate a ton of really beautiful food. My family had been looking at me as culturally backwards because I didn’t appreciate my own people’s food. The first time we went out for dim sum after I read the book, I sat down and asked for some chopsticks. My family was not used to me ordering for myself, but when the dim sum carts started coming around, I started pointing to things. I picked the weirdest stuff, things that even my dad wouldn’t eat. And in doing that, I realized that I really loved a lot of this food and these flavors, and I’d been missing out the whole time. It changed the way I looked at food, and it solidified what I wanted to do with my life."